Part 1: Dr. Abou El Fadl delves into a new surah (chapter) and continues his original Quranic commentary (tafsir) on Surah al Nasr. In the introduction, Director Grace Song shares personal reflections and testimony on the journey of praying and prayer as a Muslim over time. The Intellectual Counter-Jihad has begun. help us win the war of ideas. 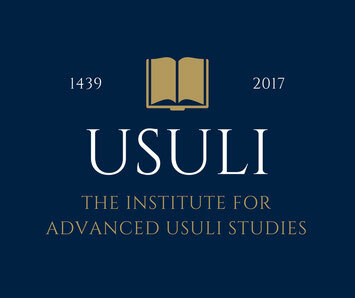 Your donation to The Institute for Advanced Usuli Studies will help fund important work to combat extremism and ignorance. We are a 501(c)(3) non-profit public charity dedicated to research and education to promote humanistically beautiful and reasonable interpretations of Islam. We seek to support our brightest minds to advance knowledge and build a community of individuals founded on dignity, respect and love for all of God's creation. See The Usuli Institute Credo for our statement of values. Please give generously to support a beautiful, reasonable and vibrantly human Islam for future generations to come. All donations are tax-deductible and zakat eligible.